I don’t usually review restaurants but I guess it’s time to start… I guess it’s the norm for my first review to be about a bad experience but some good experiences will definitely follow! First, let me give you a little back story, this location was once the home of my favorite burger joint in town and that burger joint was bought out by Bubba Burger and we had to wait over a year and a half for them to change the place and reopen as Bubba Burger Grill… So all of the anticipation had me salivating from the moment we pulled into the parking lot. The old restaurant was a full service restaurant, you walk it, they seat you at a table, you get a server, you place your order, and they bring you your food and all of this seems like a simple thing… Well that’s not how it’s done at Bubba Burger Grill, oh no, you have to walk up to a counter, pick a bun, type of burger, condiments, side, and drink choice, pay and then go sit down to eat. This place is huge, it’s not a fast food joint, this is a big ol’ restaurant with a dang bar! Not to mention this huge place only has 3 TV’s so forget about going to enjoy any sporting event at this place. Now, my point is that I can go to the grocery store, buy the actual jalapeno bubba burgers that were served to me and get 6 of them for $6.99, buy a pack of whole wheat hamburger buns for $2.49, and get enough condiments for a ton of burgers and make this exact burger at home and feed the whole family plus a couple of friends for less than it cost me to eat at this crappy restaurant. I’m a little let down that this place has gone from my favorite burger joint EVER to being a place that I will never go back to again and I will actually never recommend that anyone go there. If you would like to enjoy a bubba burger, swing by the house, I’ll feed you one and won’t charge you a dime! Great first review. Hard to believe that they charge that much for one of their burgers. You make an excellent point. 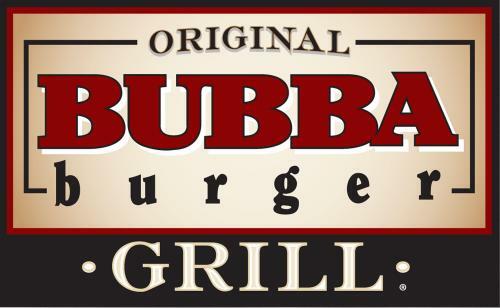 Note to self… Don’t go to Bubba Burger Grill. Thx for the review.